The Mi Mix 2 offers incredible power, great looks and an excellent user interface experience at a price that puts many other top-tier phones to shame. 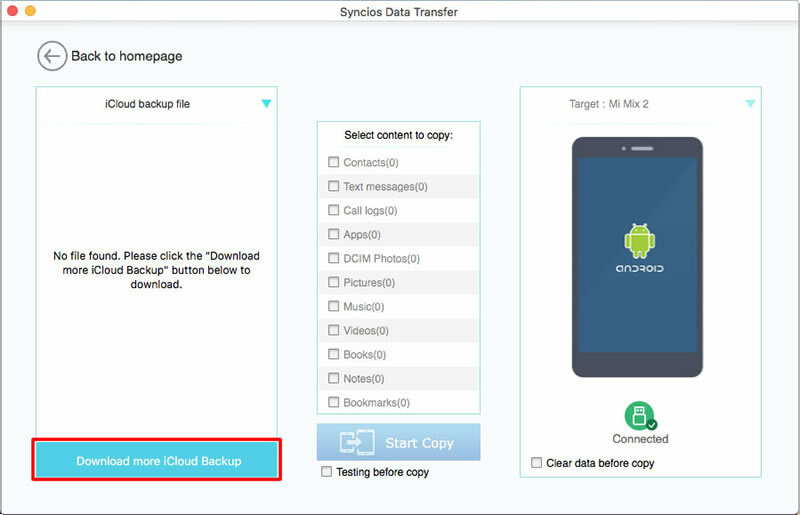 If you backup phones quite often and want to backup data in a super easy way, here is a helpful tool for you to choose. You can experience the most convenient way to backup and restore your Xiaomi in a flash. 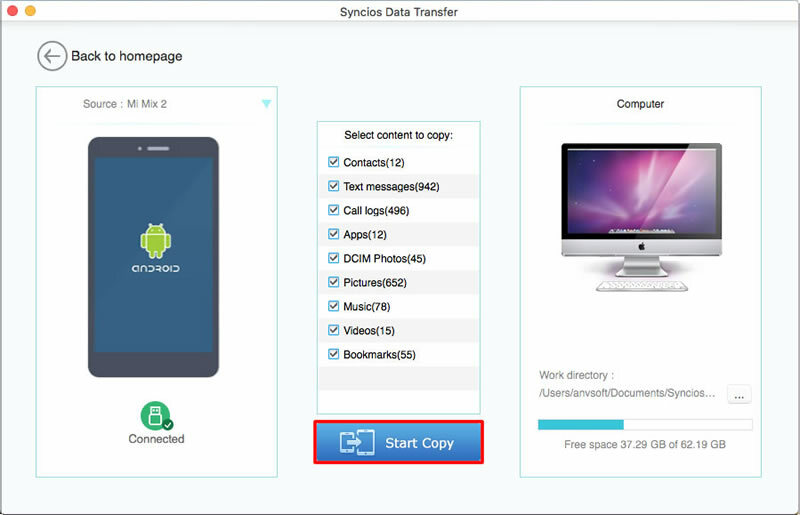 Syncios Data Transfer has Windows and Mac version for you to select. This article is going to tell you how to backup Mi Mix 2 to Mac. 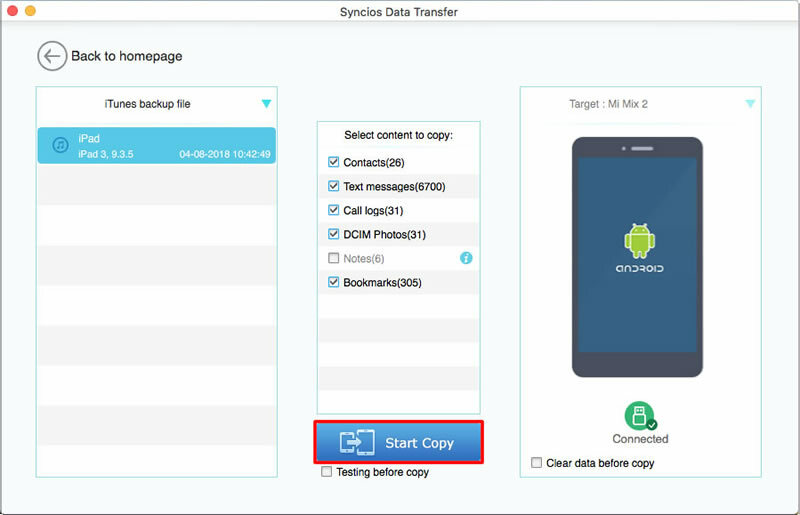 Run Syncios Data Transfer and choose 'Backup Your Phone' module. Then connect your Mi Mix 2 to computer via USB cable and wait for synchronize. 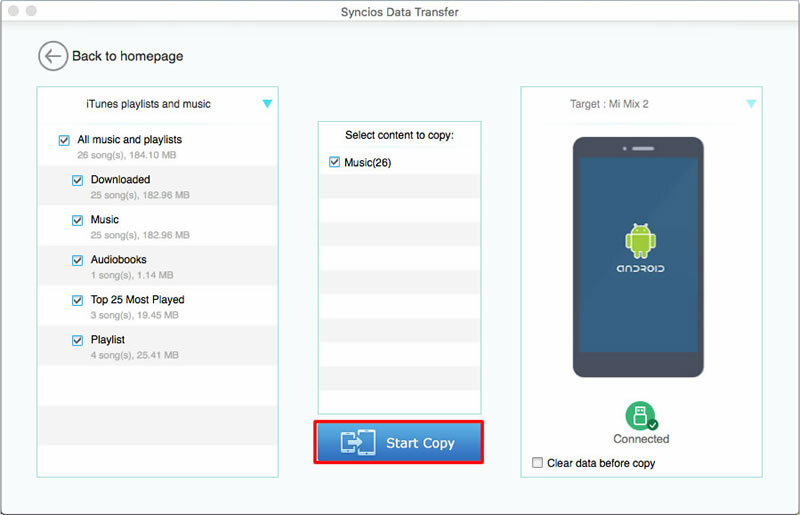 Once Syncios has synchronized your Mi Mix 2 successfully, choose your willing contents to transfer. Don't forget to choose your saving path in advance. Finally click 'Start Copy' to launch the transferring process. Detection problem please click here to fix. 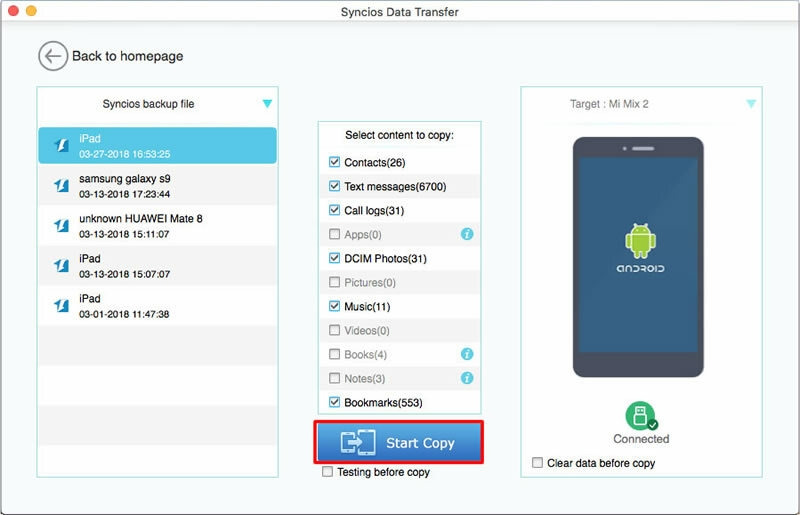 If you used Syncios Data Transfer to backup before, you will see the backup file list shown on the left panel. All the backups are listed by the order of the timeline. Select the specific file and choose the content you want (only supports to retrieve the contents which were backed up before). If you want to clear your phone, you can select the checkbox of 'Clear data before copy' to spare your space. Click 'Start Copy' to launch the process. Have you ever use iTunes to backup your data? 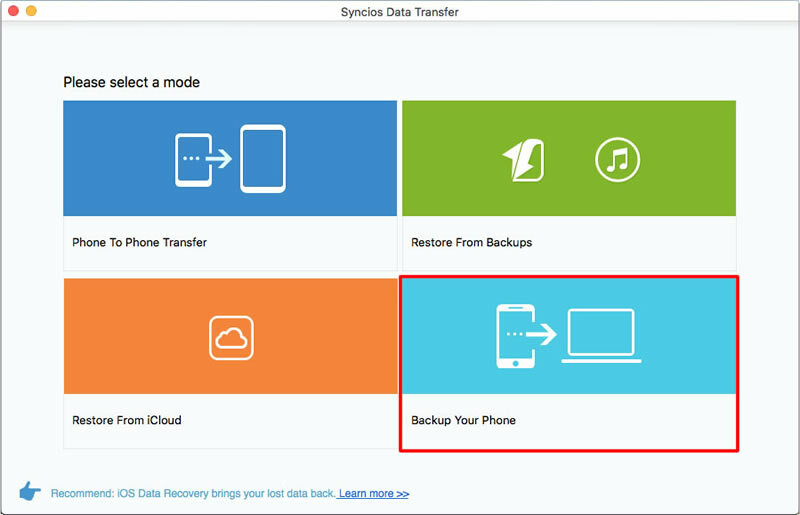 If yes, then you can use Syncios Data Transfer to restore your iTunes backup. You will see the backup file list shown on the left panel. Do the same operations as 'Restore from Syncios backup file' does. If you backup iTunes itself before, you can select iTunes playlists and music to your Xiaomi Mi Mix 2 easily. Just select the content you want and click 'Start Copy'. 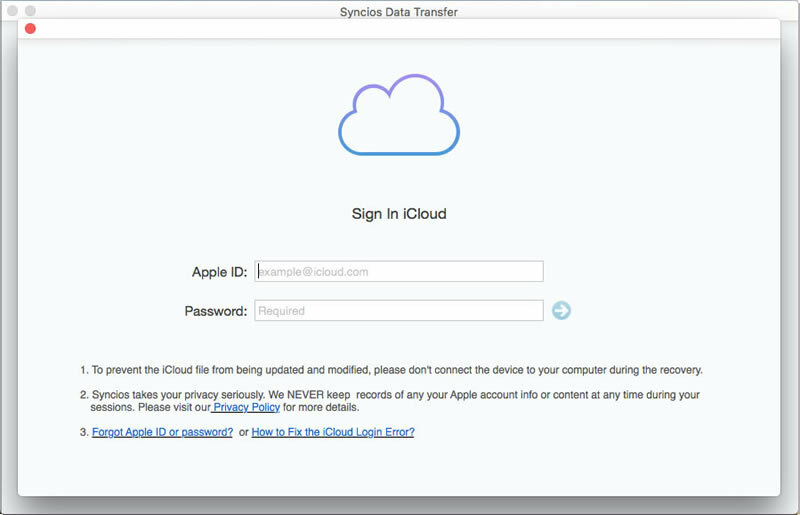 You need to download iCloud backup first. Click 'Download more iCloud Backup' and enter your Apple account, then choose the certain iCloud backup you want to retrieve. Finally do the same operations as 'Restore from Syncios backup file' does. 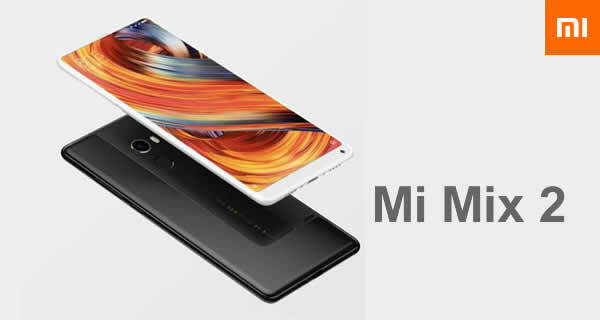 Xiaomi Mi 2/2A/3/4/4i/4C/4S/5/5S/5C/6, Xioami Mi MIX/Mix 2/Mix 2S, Xiaomi Mi Max/Max 2, Redmi 2/2A/3/3X/3S Prime/3S/3 Pro/4/4X, Redmi Note 2/3/4/5/5 Pro, Mi Note/Note 2/Note 3, Redmi Pro, etc.